I love all the wines I import: especially these wines. They are exactly why I love importing wine from Italy. 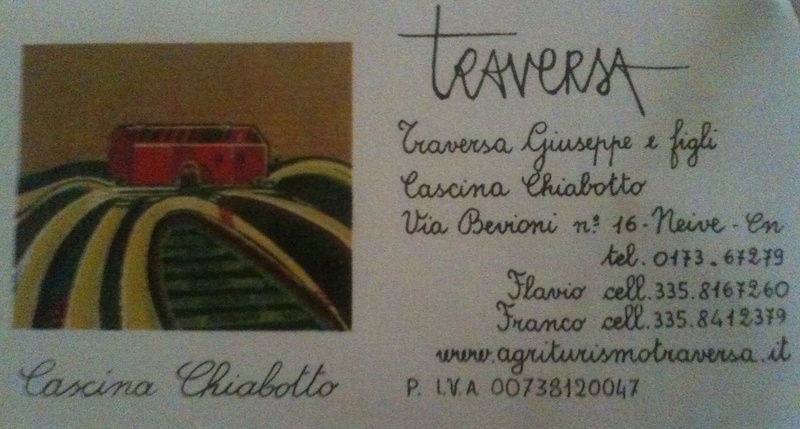 Traversa Il Ciabot Langhe Nebbiolo 2010: seriously good Nebbiolo…. 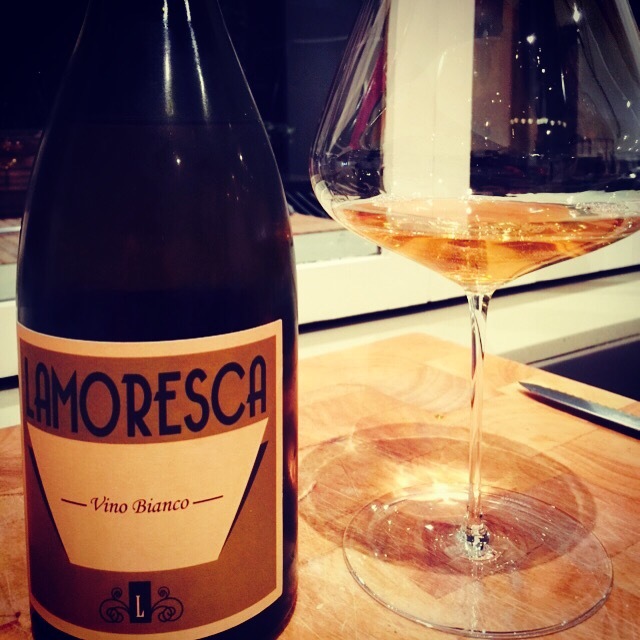 I have written a few posts on just how much I love the wines of Traversa from Barbaresco. They are pure expressions of Nebbiolo and they make the wines like they have been made for generations past. 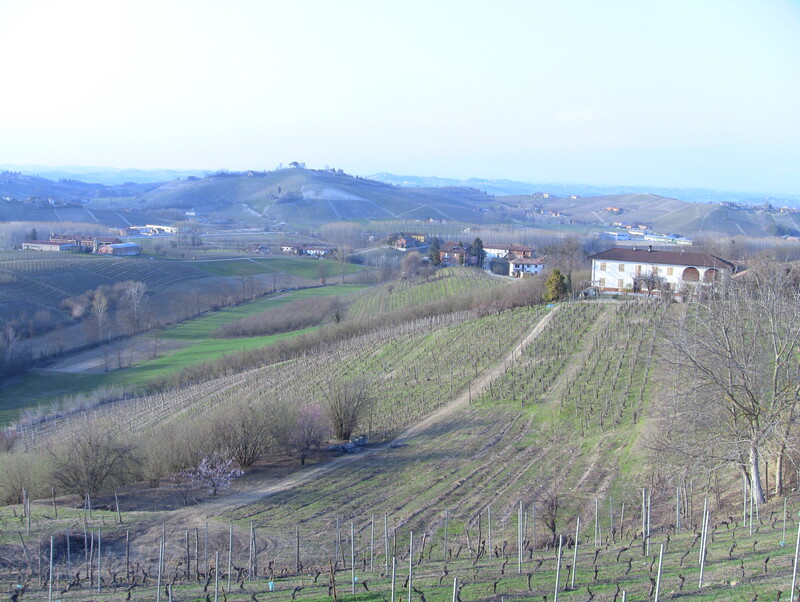 Barbaresco – Traversa vineyards – view from winery. The just landed 2010 Langhe Nebbiolo has just been given a big tick of approval by Gary Walsh from The Wine Front. It’s declassified Barbaresco, which means that the 2010 Barbarescos from this producer should be pretty bloody good.. Importer: Mondo Imports. 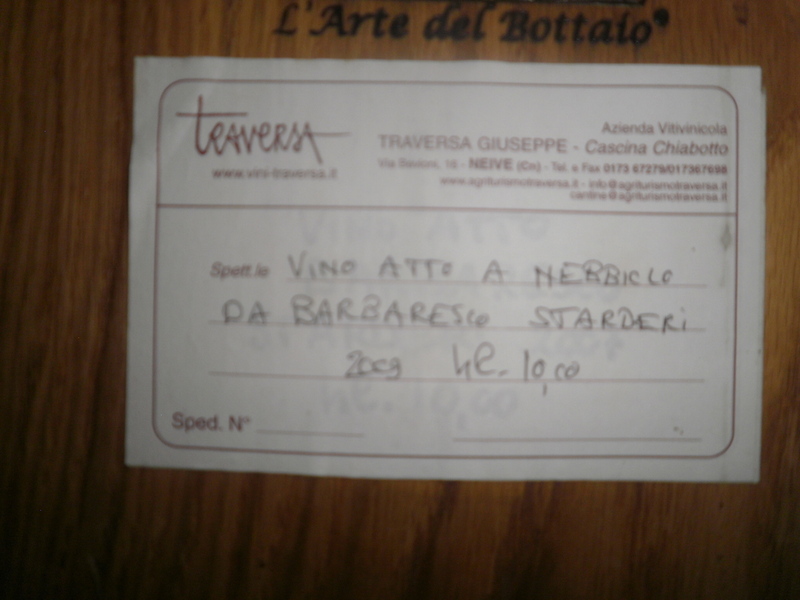 Traversa (Barbaresco): well worth the effort…. 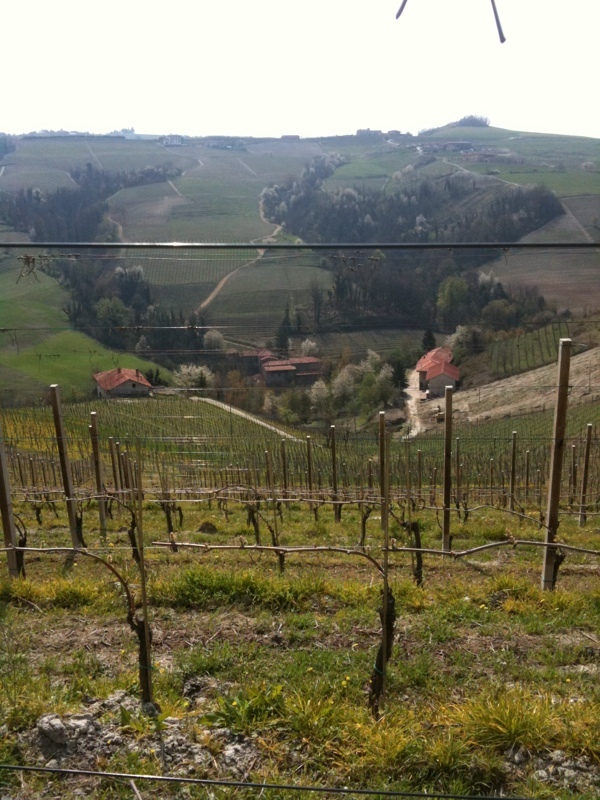 This year before Vinitaly, I spent a week in the Langhe visiting some of the producers we import via Mondo Imports. You can have samples sent over to Australia or try the wines at Vinitaly but there is no substitute for the real thing: being in the Staderi vineyard trying past and future releases of Traversa Staderi Barbaresco. 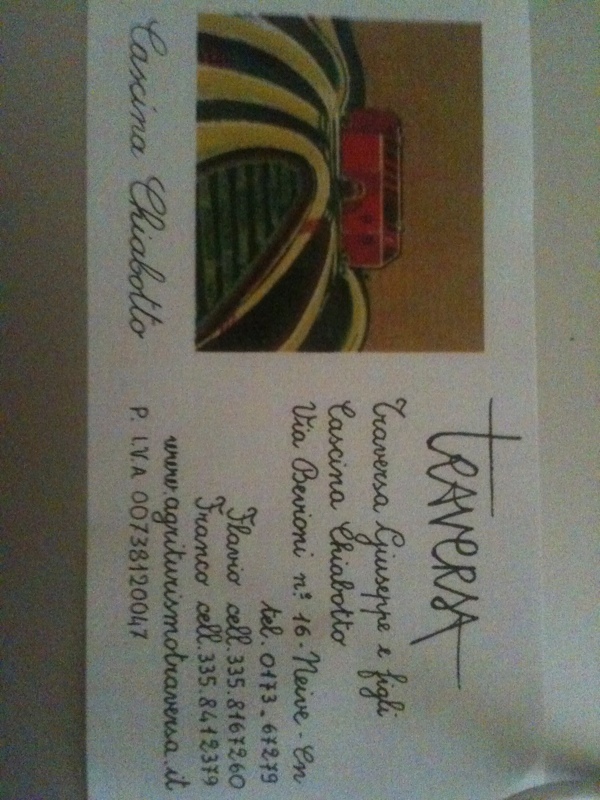 Doing business with Traversa is not easy: it is all done the old way, by fax and phone. Organising back labels via fax is no easy achievement. Getting the wines picked up and an invoice sent was another achievement. Finally the order that I gave Flavio when I was at the winery in March has now arrived. Arriving is the 2010 ‘Il Ciabot’ Langhe Nebbiolo, 2009 ‘La Burdinota del Ciabot’ Barbera, 2008 ‘Staderi’ Barbaresco and the 2007 ‘Sori Ciabot’ Barbaresco. These wines looked fantastic in March and I can’t wait to see how they look with another six months in bottle. We will let them sit for a couple of weeks before releasing these wines to the trade. 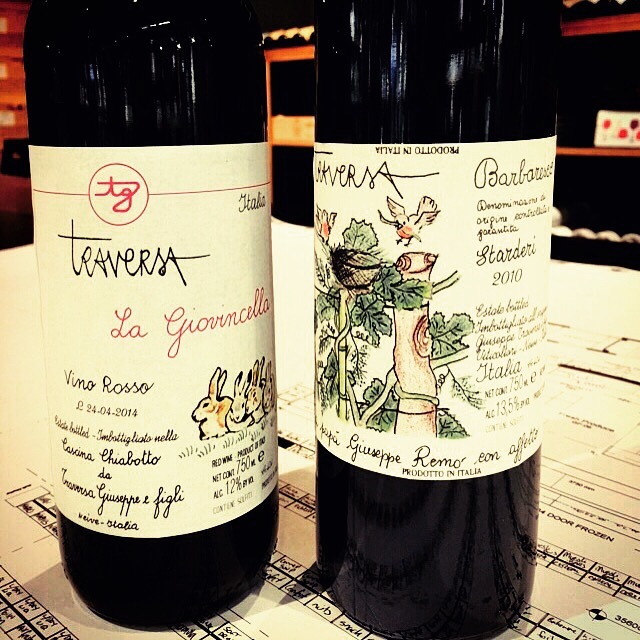 Traversa: a traditional look at modern Barbaresco…. 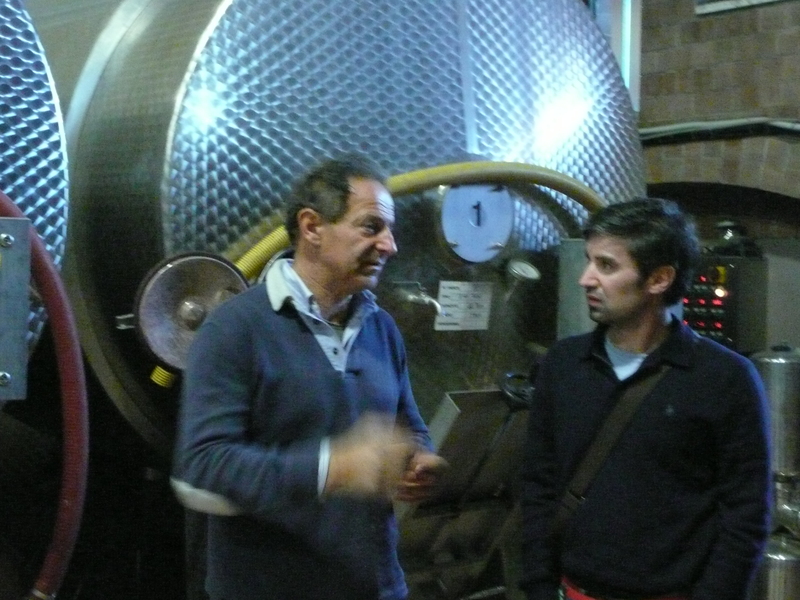 Today I drove to Barbaresco to visit Flavio and Franco Traversa who are based in Neive. They are staunch traditionalists with a few to maintaining the traditions of the past in all their wines. They still use the tall traditional Barbaresco bottles and hold their wines back so that they are released with more age than most Barbaresco producers. Current vintages for their wines are: Langhe Nebbiolo 2007 Sori Ciabot Barbaresco 2006 Staderi Barbaresco 2007 I also had the opportunity to try the upcoming vintages (2010, Langhe Nebbiolo. 2007 Sori Ciabot and 2008 Starderi) and all the wines look fantastic. As young wines they are supremely tannic but with time mature beautifully with fruit and tannin playing equal parts. 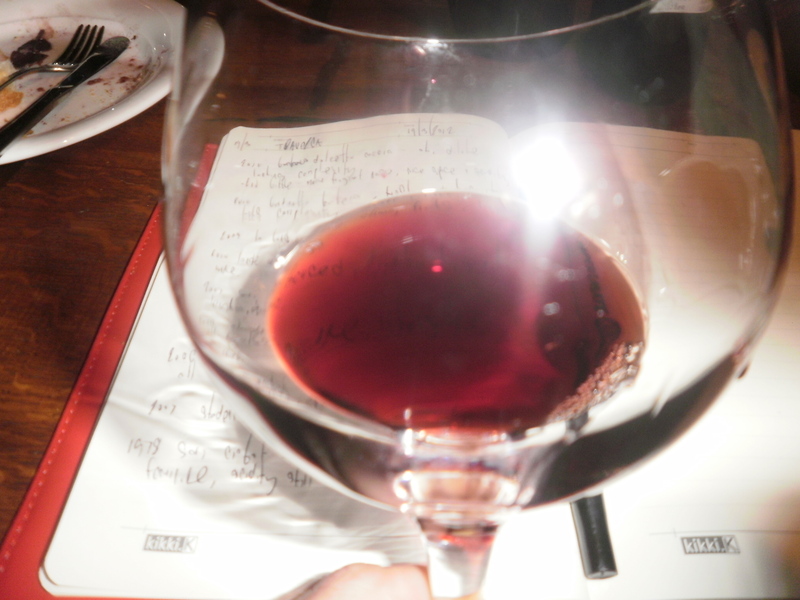 The highlight of the tasting was trying a 1978 Sori Ciabot Barbaresco that looks magnificent. Still with amazing acidity, it had freshness, fragrance, fantastic palate length and a classic Barbaresco colour and profile. Today I am heading back to Barbaresco to meet Alda Vacca at Produttori del Barbaresco and try some of my favourite wines on the planet. Back into the swing of things…. Well I am back and all our business are gearing up for a busy finish to the year. 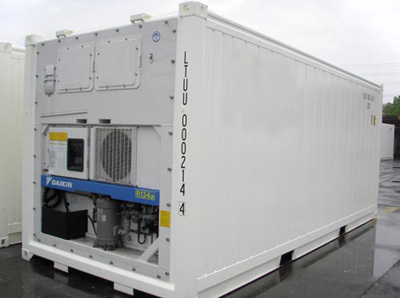 One container this week, another two next week should keep us pretty well stocked up until the rest of the year. 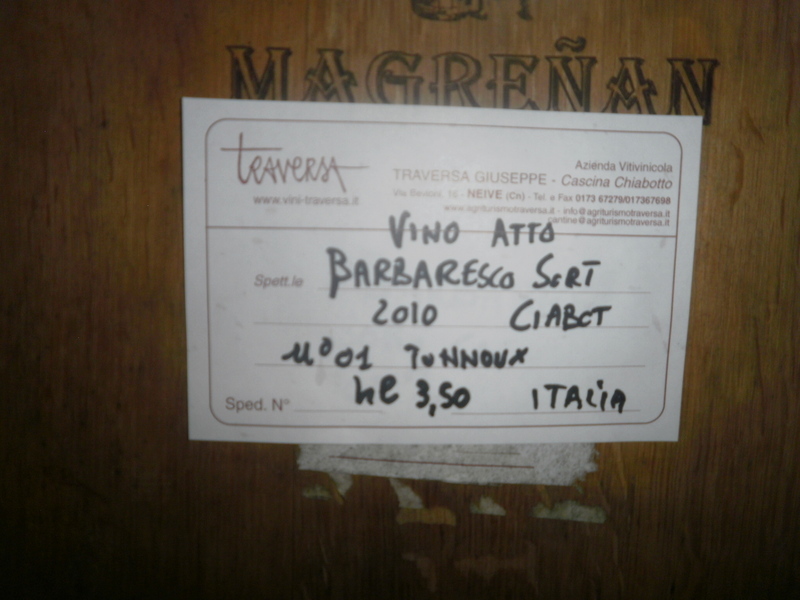 There is nothing new in these containers, more of the ‘greatest hits’ of wines mainly from Southern and Northern Italy. It is funny how Mondo Imports has evolved. Most of the wine we import is from Barolo/Barbaresco (think Roagna, Piero Benevelli, Traversa and Paolo Saracco) and then the South (Abruzzo, Basilicata and Puglia). Unfortunately not a lot in the middle. I feel for Tuscany, it just seems that as each year goes by, the wines are falling behind (not in quality, but in terms of sales compared to the rest of our portfolio). Hopefully we can reverse this trend and certainly haven’t given up on Tuscany. 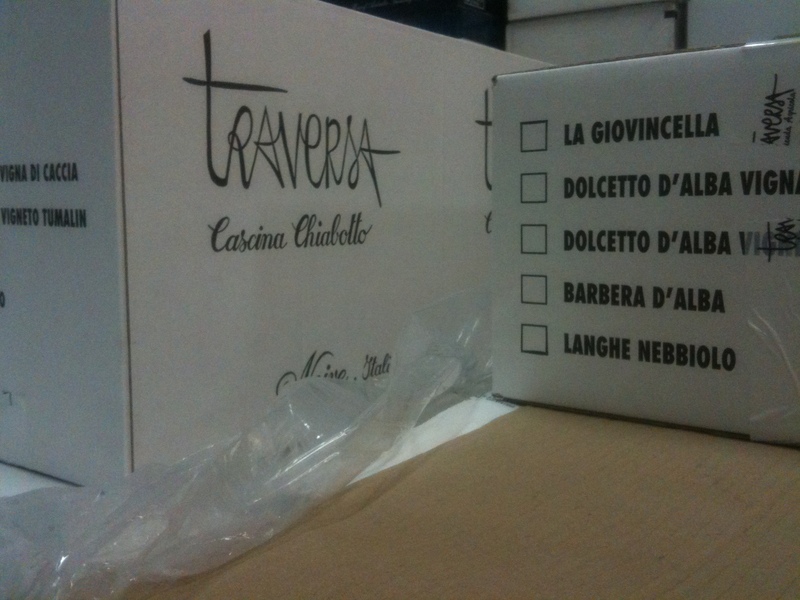 Before Christmas, we will have more stocks of all the Traversa wines (2006 and 2007 Barbaresco, 2007 Langhe Nebbiolo and Brachetto). Last Monday night, I had dinner with James Suckling in the Yarra Valley (which I will write a post on next) and we drank a bottle of Traversa Staderi Barbaresco 2007 together. He was blown away. Also landing will be 2007 Monforte Barolo from Piero Benevelli. Hence enough wines to keep us interested all the way up to Christmas.!! Last year at Vinitaly, one of our goals was to find the ‘Benevelli’ of Barbaresco. What I mean by that, is a Barbaresco producer that made awesome wines at great prices and most importantly, is family owned and had values that we all shared. Much like our Barolo producer Piero Benevelli. Whilst Mondo Imports represents the wines of Piero Benevelli from Monforte, Barolo in Australia, for me this is not a business relationship: they are family. Within a space of a few short years of meeting Massimo and Denise Benevelli and selling their wines in Australia, his family and my whole family now see each other as the same. Every second year I visit Massimo and spend a week hanging out with his family in Monforte, Barolo. This Massimo returned the favour and made the trek down under to complete the 2011 harvest with my family at our winery in the Yarra Valley. This is how it should be. Speak to some of the best importers of Italian wines into Australia, like Trembath and Taylor, and they will tell you that most of the best selling wineries in their portfolio have been with them for twenty plus years (wineries like Speri and Pieropan). They will also tell you that they do not have a business relationship with these producers anymore, it is a relationship more akin to that of family. However, Italy is changing. 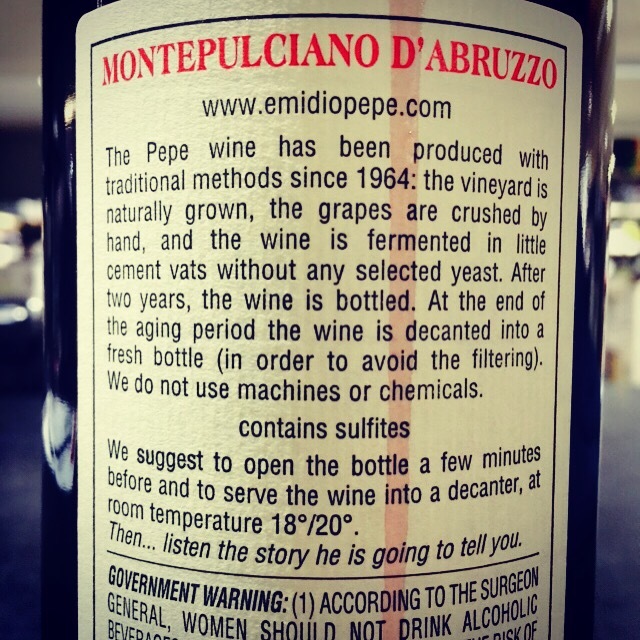 Sadly for me, too many wineries in Italy employ ‘export managers’ who only care about how many cases they can sell regardless of how and to who they sell it to. This makes dealing with these wineries, no matter how good the wines are; tough work. I would argue that whilst we also deal with some fantastic ‘export managers’ like Elisa from Passopisciaro that I deal with, they are few and far between. This year, my brother Stefano and myself had Barbaresco on our mind. After day of tasting and talking to so many Barbaresco producer, we finally met Flavio from Traversa, and there was an instant connection. 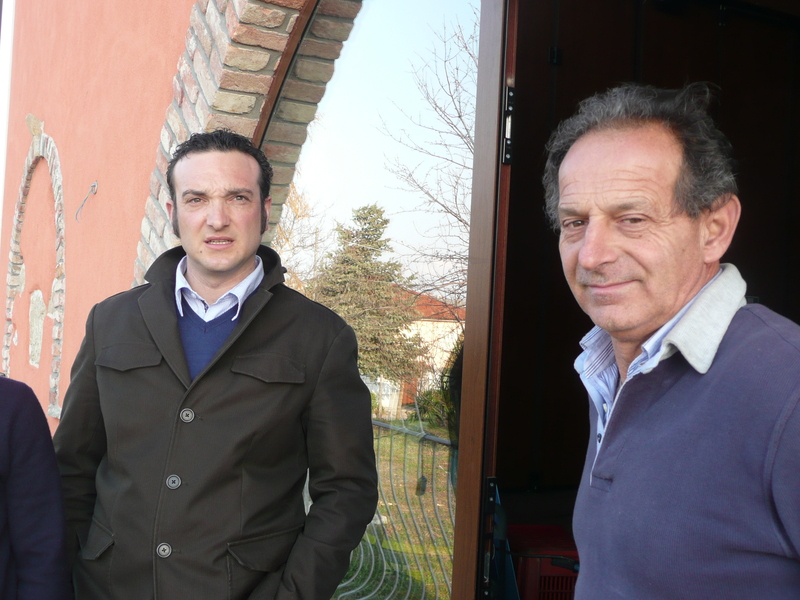 You could see the care and love of what he has for life mirrored in Flavio’s wines. Straight away Flavio informed Stefano and myself that he did not judge an importer by how many cases they could sell for him. If we were honorable people and only sold 10 cases of Traversa a year he would be happy. If he did not like or trust the way you sold his wines (even if you sold 1000 cases a year) he would have no hesitation in cutting ties. These are the sort of producers (like Luca Roagna, Piero Benevelli, Passopisciaro and Pipoli, etc) that you love to represent. In our early days this was not the case. Some of our producers in our portfolio (now thankfully long gone) did not care what you sold the previous year or how you sold it, as long as you doubled sales the next year. Today, when we come across producers like this, we happily walk away. 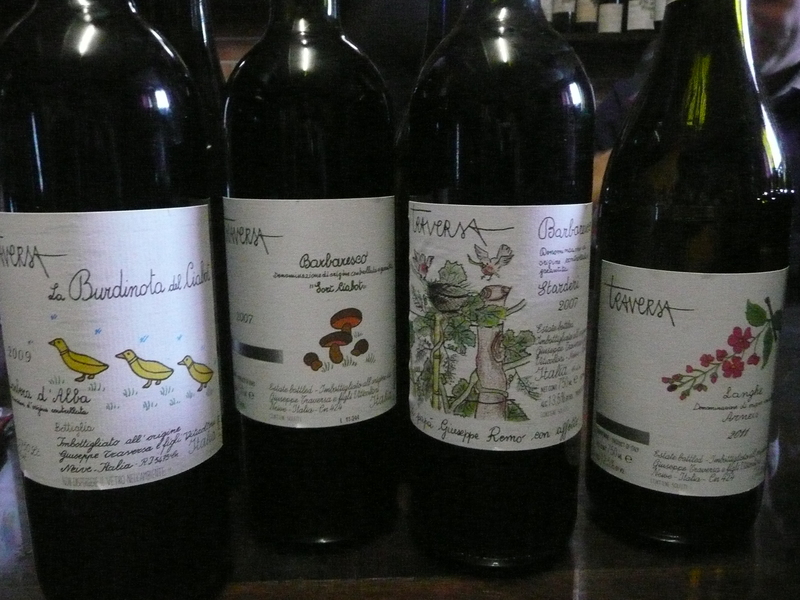 Back to Traversa and the wines. 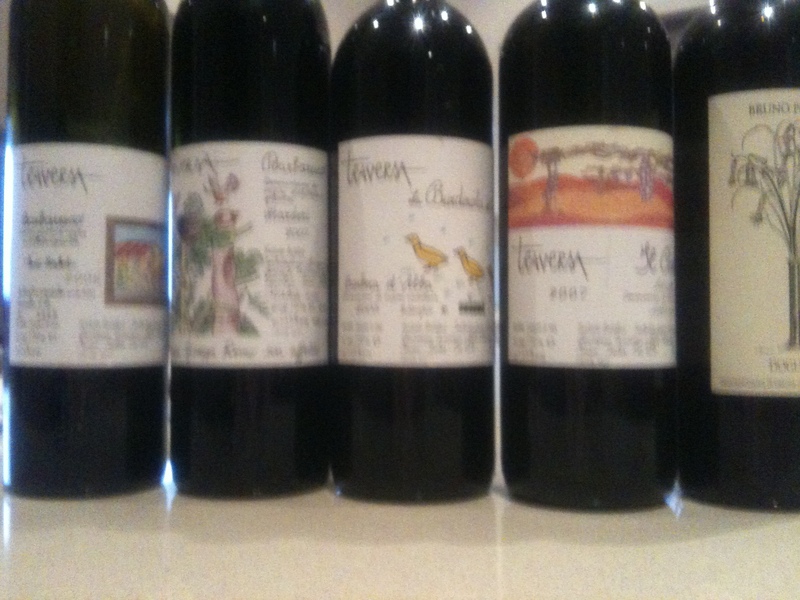 Whilst we loved the wines at Vinitaly it was no small feat in getting them to Australia. Flavio refuses to do business by email. He prefers fax and phone. Imagine trying to organise back labels and Mondo Images via fax? Not the easiest way to do business!! However in saying that, I respect Flavio for the way he does business. For him it is logical and whilst it takes a touch longer to get his wines to Australia, they are well worth the effort. Within three weeks of the wines landing in Australia, the 1800 bottles that we ordered initially are nearly all gone with some of the best restaurants and wine bars now selling Traversa Nebbiolo, Arnies, Brachetto, Barbera and Barbaresco by the glass. Flavio would be proud. And it is so nice to actually pick up the phone and tell Flavio. Not some export manager who without a blink of an eye, asks if that means that we will double our next order. Long live Flavio and the way he does business…..